COACHING great Mick Malthouse and AFLW star Moana Hope have become embroiled in a war of words following a Grand Final luncheon in Ballarat on Thursday. Hope stormed out during the North Ballarat City club event after what she described as "disgusting" comments from Malthouse about women's football. 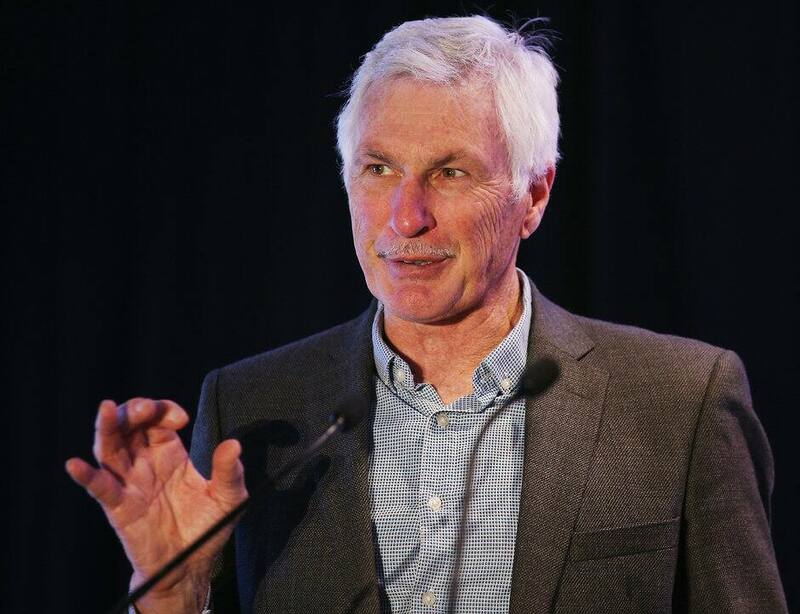 Malthouse insists he was comparing the impending AFL rule changes of starting positions to netball's use of zones, before discussing the lengthening of the goalsquare to 18 metres. When speaking to AFL.com.au, Hope took a different stance. "He was saying stuff about how women get injured and women should just not play AFL because it's a man's game," Hope told AFL.com.au. "When he was asked about the AFL changing the rules of the men's game and the square (goalsquare), he then went onto talk about the game back in his day and if the AFL did change the rules, they may as well put skirts on the men, let them play netball and call them women." "The fact he said it's a man's game and women shouldn't be playing and only should play without contact, it really upset me. "I put my mic down and left the appearance, something I've never done before. I was so disgusted and embarrassed, I almost cried, I almost had a panic attack." Malthouse fired back on Thursday night, believing Hope had taken his comments out of context. "It was very, very unprofessional," Malthouse told AFL.com.au of Hope's actions. "If she cared to listen instead of looking at her phone for most of the event, she would understand. "Apparently she's had a crack at me in terms of what I said about netball. "(I was saying) the new rules are similar to netball, in other words, positioning. Not one word about female football, females or anything else. "Unfortunately, she came with that attitude, she was very disappointing as far as I'm concerned on the panel. "Had she listened, she would've been a little bit wiser." Onlookers from the event have told AFL.com.au they believe Malthouse's comments weren't intended to be derogatory but, in their view, he could've chosen his words better. The pair were guests at the pre-Grand Final event alongside Brisbane great Jason Akermanis and Malthouse's daughter Christi, a former AFL broadcaster. Hope will line up for North Melbourne in the third season of AFLW after crossing from Collingwood. She said was most disappointed for the room of fans that included a number of junior female footballers who had just played a match of mixed football against boys. "I love watching the men, they're my idols and heroes," Hope said. "I love Benny Brown, Buddy Franklin, Paddy Dangerfield, these are men I look up to and they love women's footy. "I don't know how you can have that mentality, even after saying his granddaughters play football. It doesn't make sense." Malthouse was a North Ballarat junior player before winning premierships as a player at Richmond (1980) and West Coast (1992 and 1994) and Collingwood (2010) as a coach.